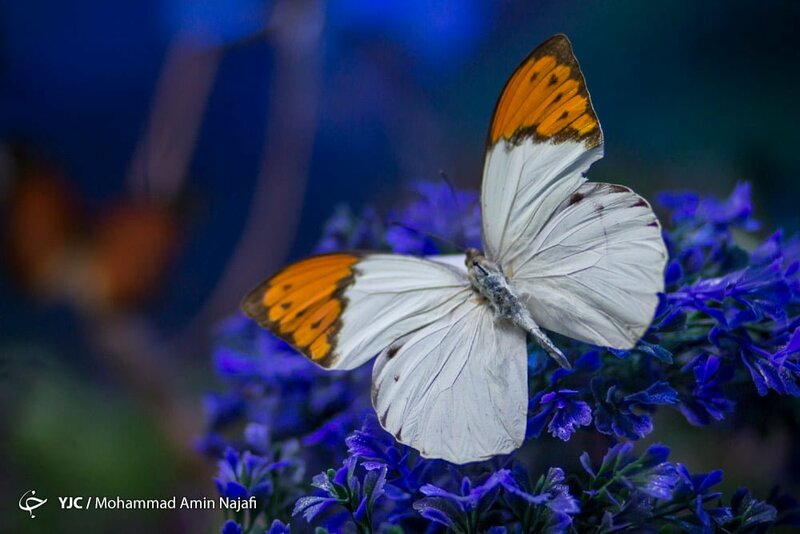 The complex is home to the best equipment and the most modern recreational facilities in the heart of Alvand Mountains next to the Ganjnameh waterfall and inscription. 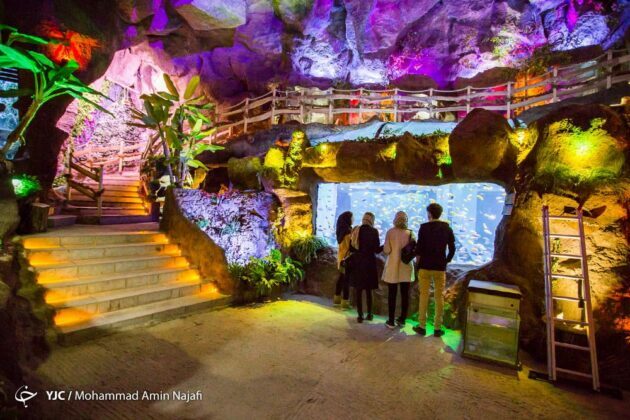 The complex includes the magnificent beauty of Alvand Mountains, Meidan-e-Mishan, Nader Throne, the waterfall, ropeway, sledge, bungee jumping, cave aquarium, funfair, and rock climbing. 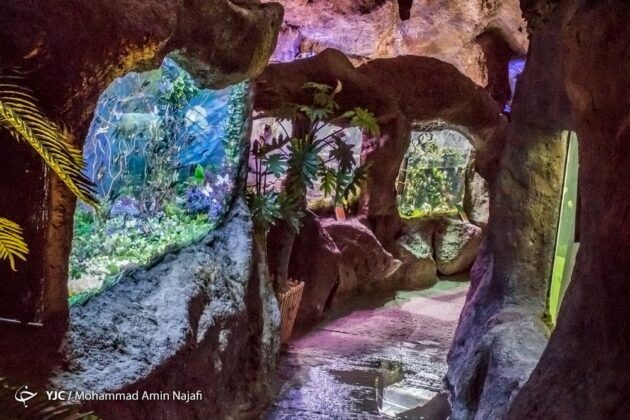 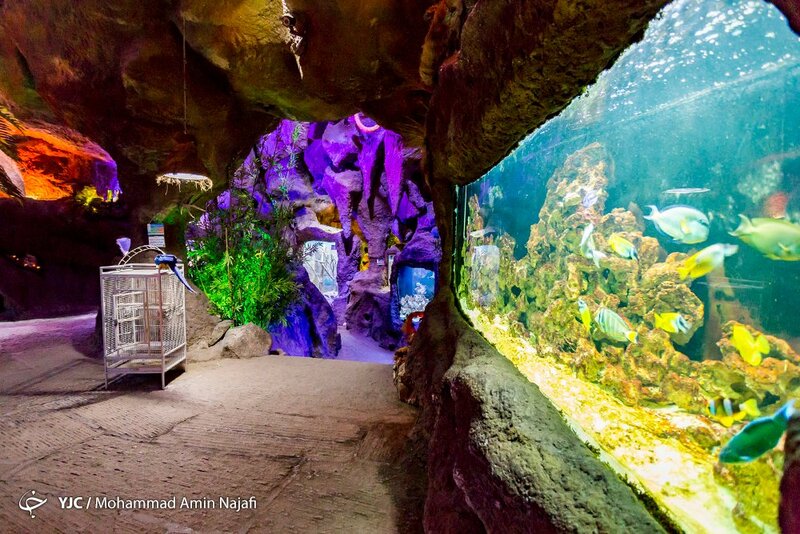 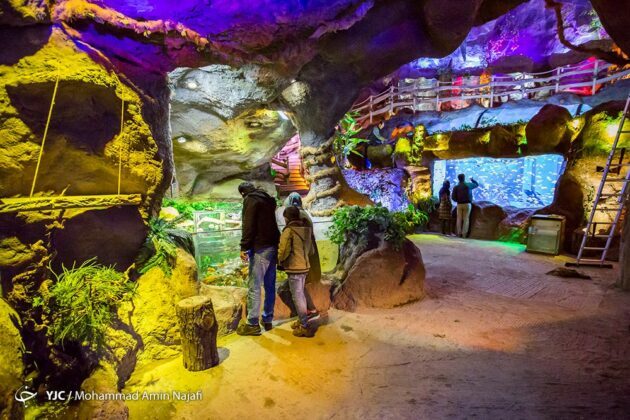 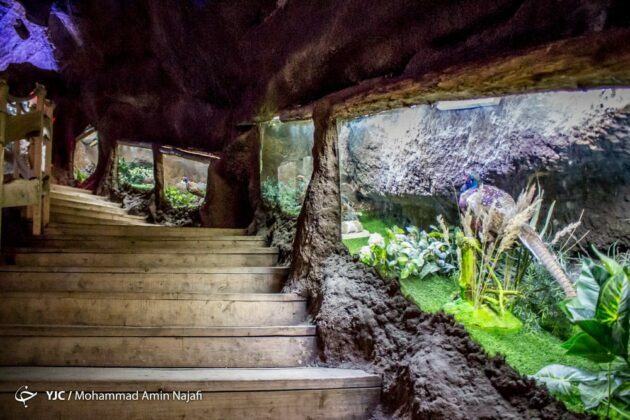 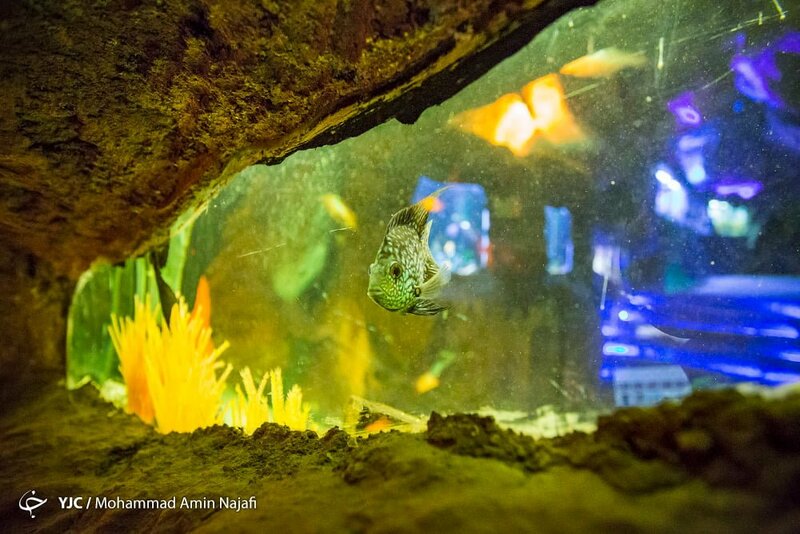 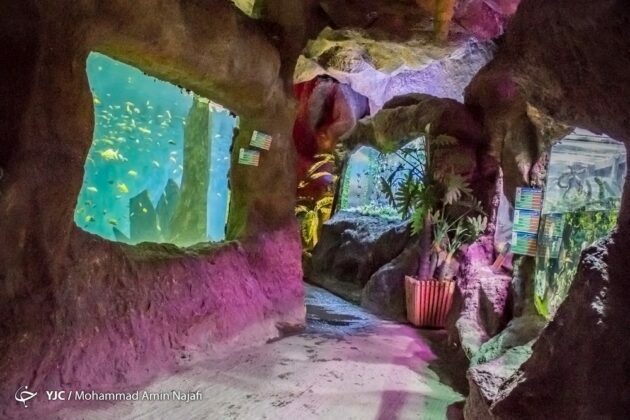 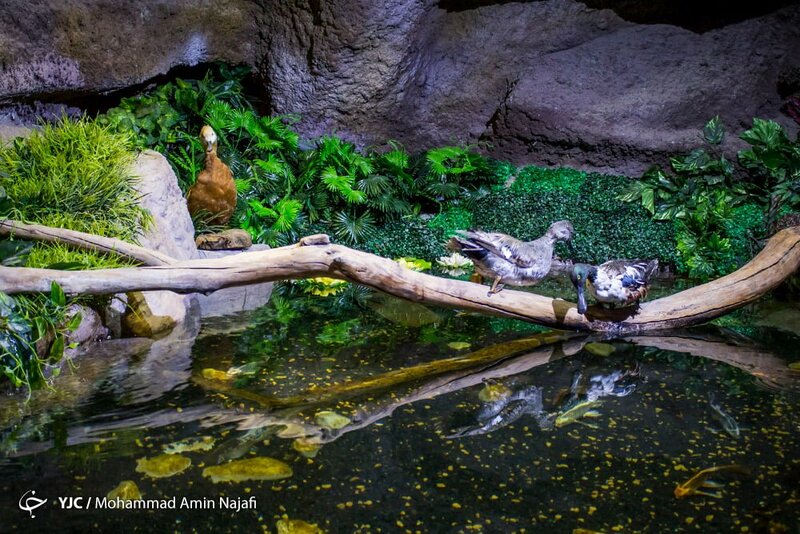 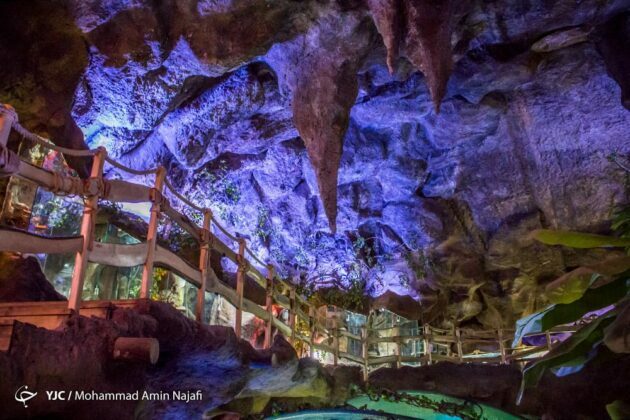 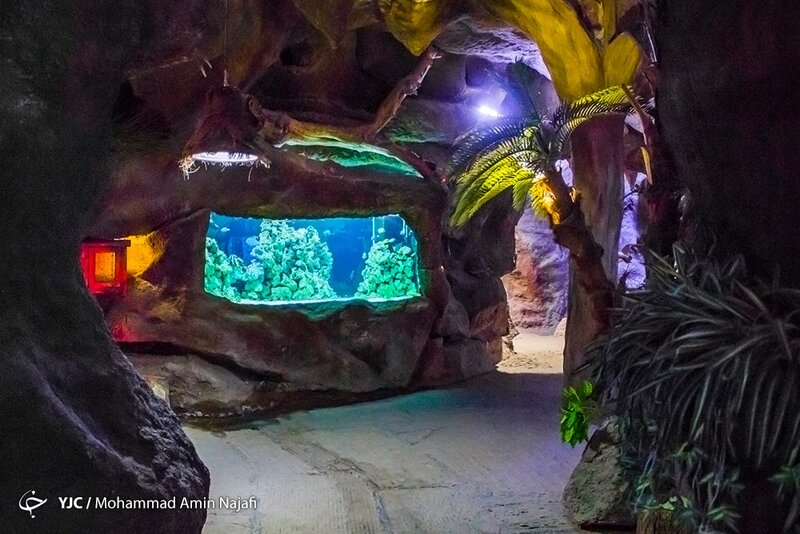 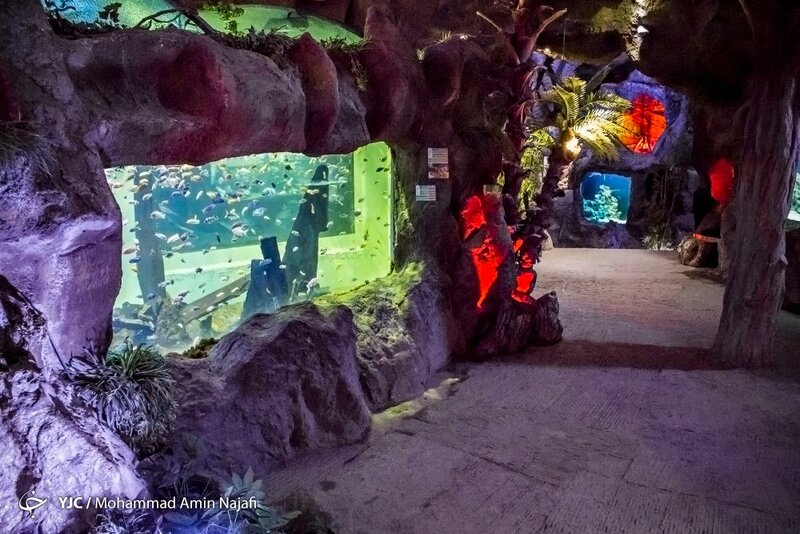 The Ganjnameh Cave Aquarium project was designed in 2011 by a group of Iranian and foreign engineers and contractors with the aim of creating a different environment to attract more tourists to the mountainous region. 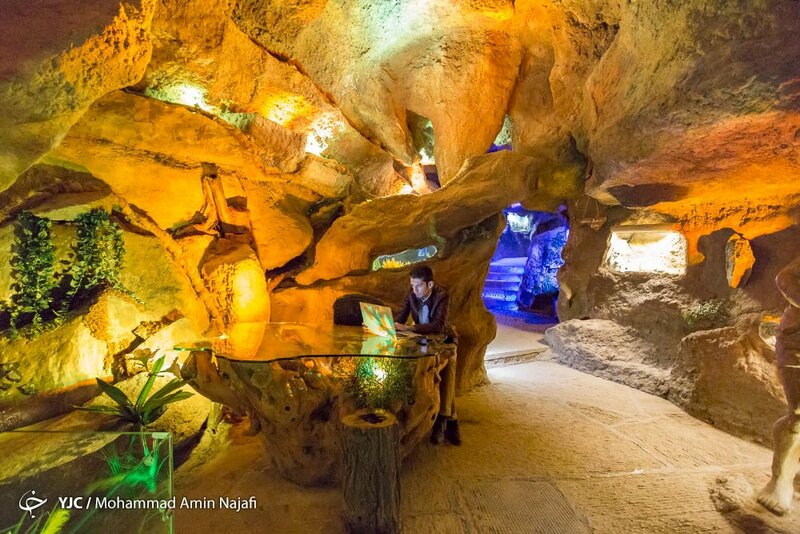 Its idea was inspired by Hamadan’s Ali Sadr Cave which is the world’s largest water cave. The complex has an area of over 1,000 square metres and variable height of 2.5 to 15 metres. 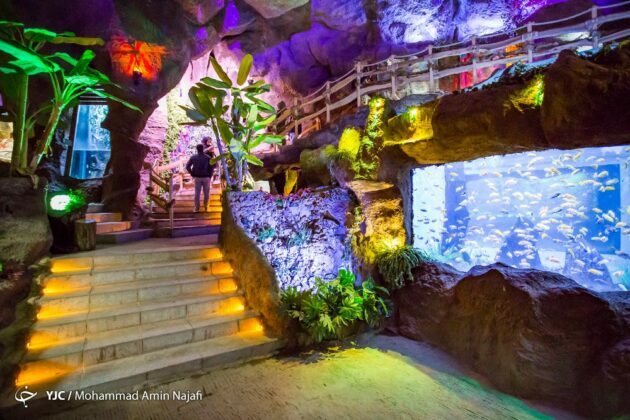 It has a capacity of 85,000 litres in the main hall with 21 sweet and sour water aquariums with dimensions of 1×1 to 2×2 metres. The aquarium also includes fish and starfish, as well as a 2×3 plant aquarium which is unique in its kind. 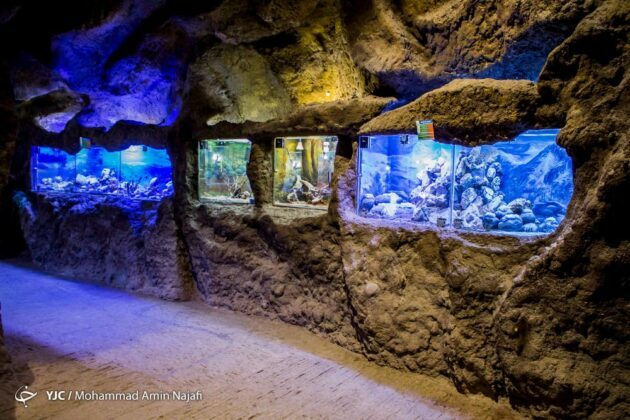 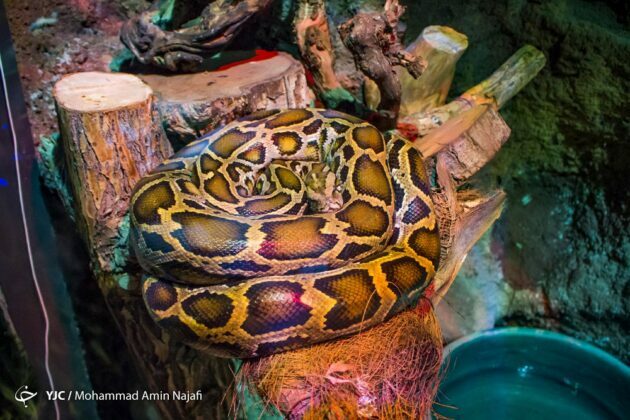 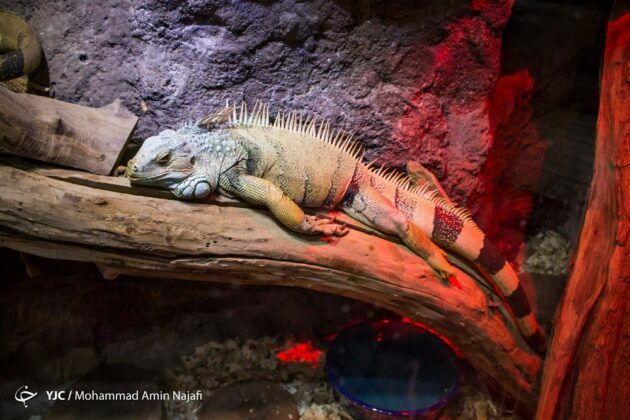 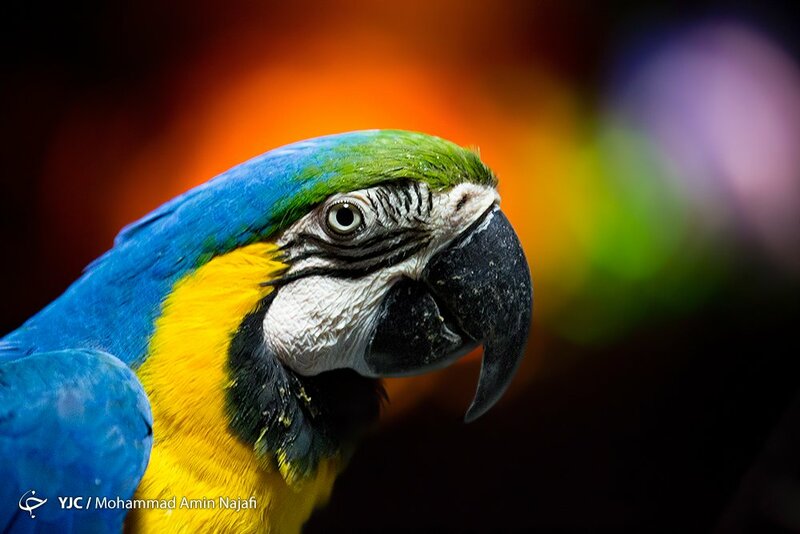 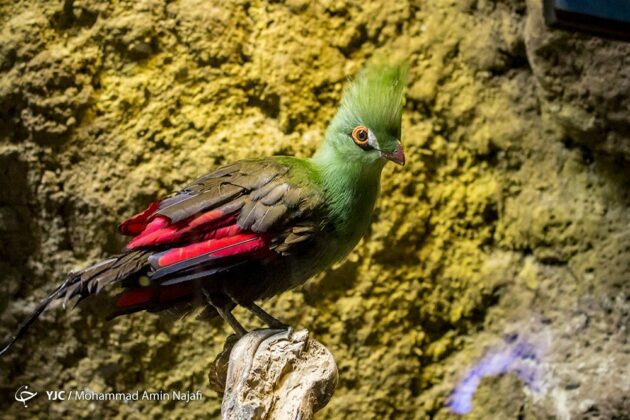 On the second floor of the cave, there is an area in which a collection of the finest examples of ecological creatures and reptiles from around the world are gathered. 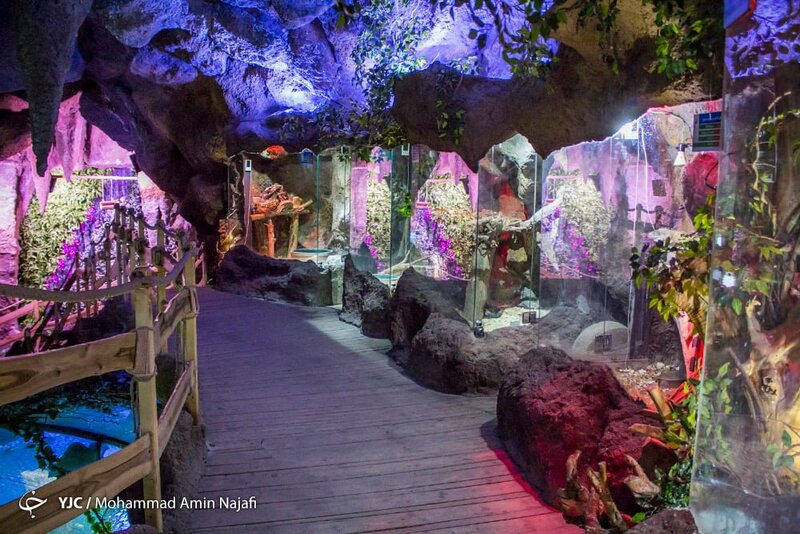 The entire path to the cave passes through three main halls with corridors of rainbows and artificial aromas that provide the visitors with a completely different atmosphere. 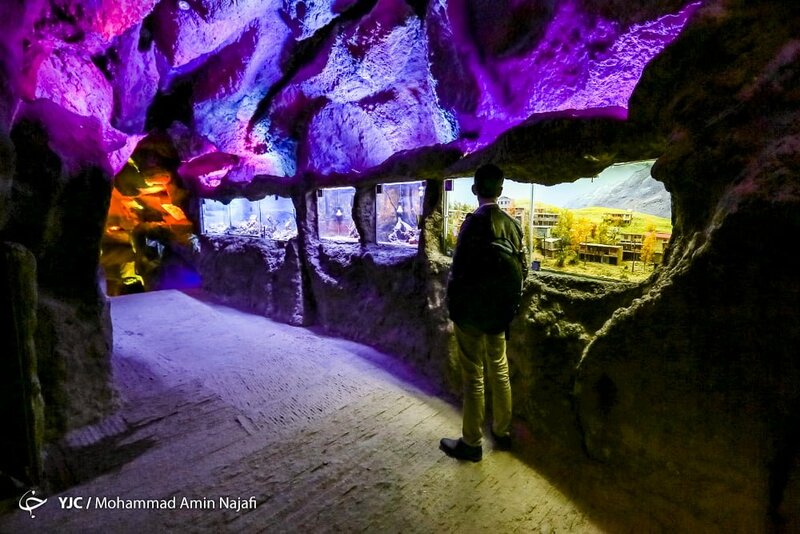 Ganjnameh, which literally means ‘Book of Treasure’, is an ancient inscription south-west of Hamadan in western Iran. 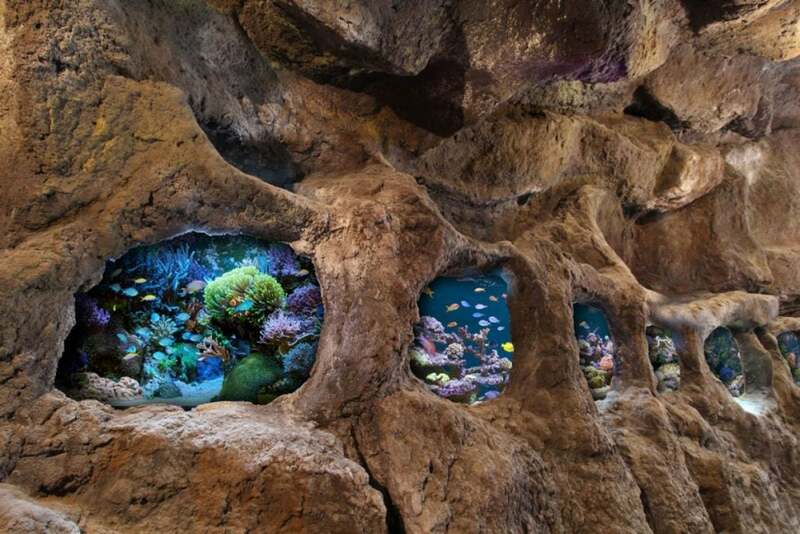 The inscriptions were carved in granite in two sections. 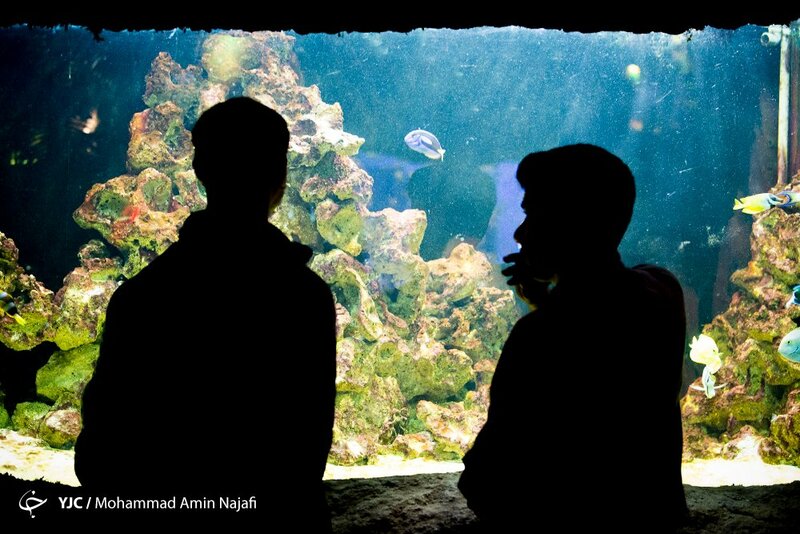 One of them was ordered by Darius the Great and the other one ordered by Xerxes the Great.